After the destruction of their ships, Captains Skyler Luiken and Gloria Tsandi with their crews are stranded within enemy compounds, scattered and separated with no escape and surrounded by the Scipio; having survived a huge attack, and now must find a way to find their comrades, defeat an armada, and get out alive. 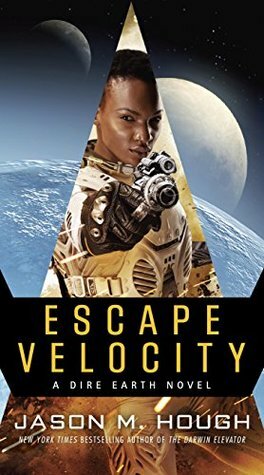 Despite the flurry of characters, this is an interesting space opera with some high handed concepts that feel bigger than they really are. Other than my personal curiosity about the previous books in this series, this one stands alone just fine. It’s enjoyable, the characters and writing kept me interested but not enough to get truly lost in it and I found myself easily distracted instead of engaged. It comes in, does its thing, then it leaves fulfilling its task. Not bad, though. 3 out of 5.